My son and I are out for dinner.... any idea where? Think I found it by cheating with an image search… Irish pub in Western Florida?? 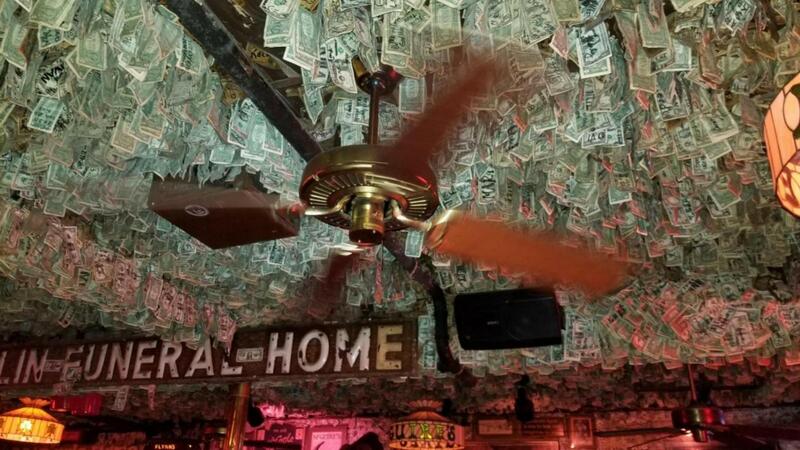 At first I thought it was the Little A'Le'Inn, because that's where I've seen the dollars on the ceiling thing, but the (literal) writing on the wall said, no. Gotta name? Define western fl? Google image search says you are at Home Depot in the ceiling fan department. Clearly, there is a Costco next door where you have gotten either the hot dog or the pizza and are now squatting at Home Depot. Was that you in the next isle? The one legged guy looking at ladders? Last edited by killerkaw; 03-04-2019 at 08:21 PM.